JERSEY CITY, N.J. – Developers announced today the 100th lease signing at 25 Senate Place in Journal Square, Jersey City’s latest neighborhood on the rise. 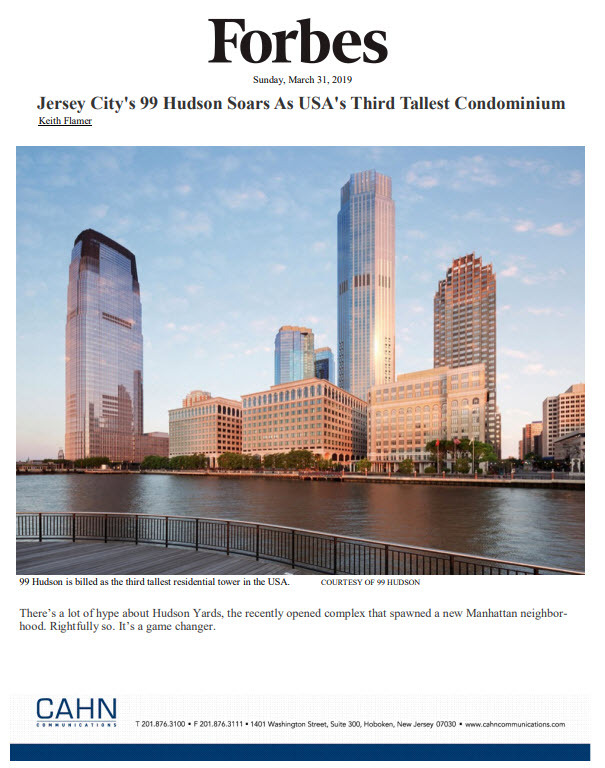 The impressive milestone, which is slightly ahead of the number of residents now moved in, solidifies the new residential offering’s position within Jersey City’s sizzling real estate marketplace. Featuring 265 uniquely-designed rental residences and upscale amenities across the street from MANA Contemporary, 25 Senate Place delivers a modern living experience to a neighborhood dotted with historic buildings, lively restaurants and bars and budding artistic sensibilities. A 14 minute commute to the World Trade Center or 22 minute ride to 33rd Street via the Journal Square PATH train adds a level of convenience to the equation. Studios, one-bedroom apartments, one-bedroom-plus-den floor plans and two-bedroom duplex lofts with coveted outdoor space, are offered at monthly rents starting from $1,695. Found throughout the residences are expansive windows that draw in natural light, hardwood floors, open kitchens with espresso cabinetry and quartz countertops, modern baths, and washers and dryers. Lifestyle amenities and services include a lobby with 24-hour doorman, fitness center, resident lounge, game room, landscaped terrace and courtyard, Dog Park, shuttle service to the PATH Station, available onsite indoor parking and onsite property management. Residents will also appreciate having one of the region’s most celebrated independent coffee purveyors at their doorstep as Modcup, which roasts green coffee beans from around the world, will open a café and roastery in one of the building’s street-level retail spaces. For canine lovers, Club Barks Doggy Day Care will also set up shop onsite. In addition, a Citi Bike Jersey City bike sharing station is located on Dey Street adjacent to 25 Senate Place. When stepping out to take in the neighborhood, residents learn how much Journal Square has to offer in the way of restaurants, bars, nightlife, and culture. Just across the street, MANA Contemporary features more than 10 exhibition spaces, a theater, dance studio, foundry, silkscreen studio, and 150 artist studios, as well as the Richard Meier Model Museum and other renowned tenants. Art House Productions, an active visual and performing arts organization, is located in Journal Square, as is the revitalizing Landmark Loew’s Jersey Theatre and award-winning Hudson County Community College Culinary Arts Institute (CAI). For more information on 25 Senate Place and to schedule an appointment to view a furnished model residence, please call 1.844.577.4663, or visit www.25senateplace.com. The Sutherlin Group of Keller Williams City Life Realty is the building’s onsite leasing agency.